November 19, 2018 – Candide wants to be known as a focused, hard working, humble person and a servant leader. This semester she is plans to work hard to improve her grades! July 7, 2018 – The most challenging thing Candide overcame this last year was taking classes that required a lot of memorization. However, she continued to reminder herself of her goals, spent a lot of time studying, and was able to overcome and do well in her classes! This summer, she is looking forward to studying for and taking her driver’s test to get her license! May 12, 2018 – The two things Candide values the most are respecting God and impacting the lives of others! March 25, 2018 – When Candide was younger, he hoped to grow up to be rich so that he could provide for and help the poor. In five years, he hopes to be graduated and working as a civil engineer! Feb 27, 2018 – Candide says her nickname is Sebwenge (someone who is wise), because she performs well in her classes! The person who inspires Candide the most is her father, because he does everything he can to support and encourage her to be the best she can be! Jan 25, 2018 – Candide said the last book she read was Doing Work That Matters by Justin Zoradi. She said her favorite part were the guidelines on how to make big changes in your life! Dec 18, 2017 – Candide says that on Christmas they spend time praying, and they also have a special Christmas party to celebrate! The word Candide thinks her friends would use to describe her is “kind” because she is always kind to people she is around! Nov 11, 2017 – This Thanksgiving Candide is thankful that she passed all of her university courses! She is looking forward to Christmas as she focuses her attention on Christ and serving others! Oct 8,2017- We’re excited to welcome Candide into the These Numbers Have Faces leadership program! Being accepted into the program made this summer an amazing and memorable one for Candide, she believes it marked the beginning of a new journey for her. She will be starting her second year of university and is looking forward to growing socially and meeting new friends. 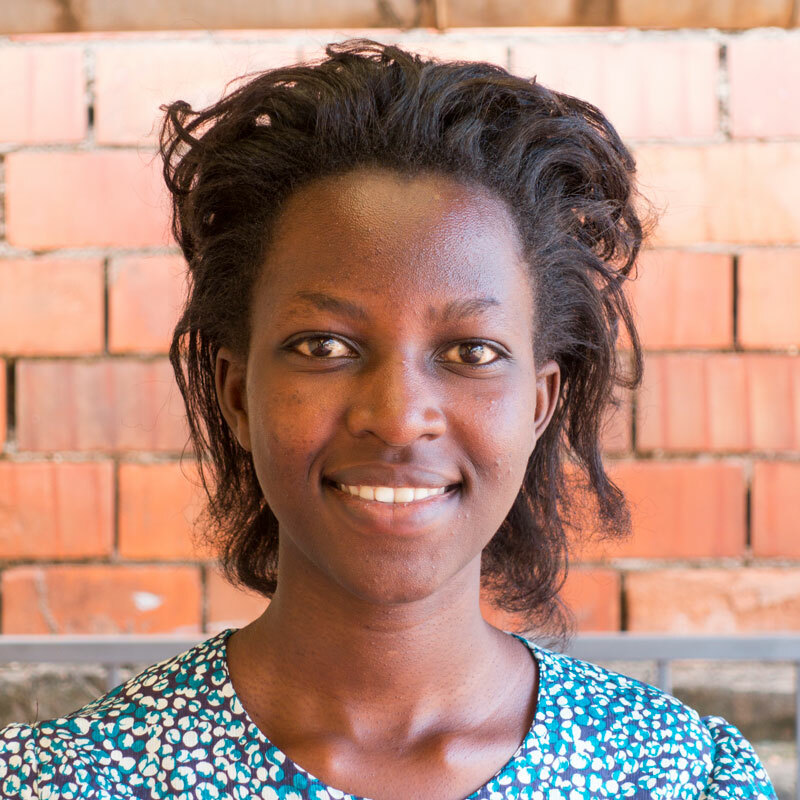 Candide is one of seven children, raised by her parents in rural Rwanda. She had a simple life without consistent access to finances, food, or even technology. Through her trials, however, she developed an attitude of tenacity and resilience. Candide is attending university to pursue a degree in Civil Engineering so she can solve the problems her family and community face each day. Candide is continuing to learn what it takes to be an influential leader for her country’s future. She wants to be a leader without limits and knows that a university degree is the path to that dream!